MOSCOW (Sputnik) — Up to 50,000 people in eastern Ukraine’s Donetsk and Luhansk cities took part on Monday in an event honoring those who perished in World War II battlefields. 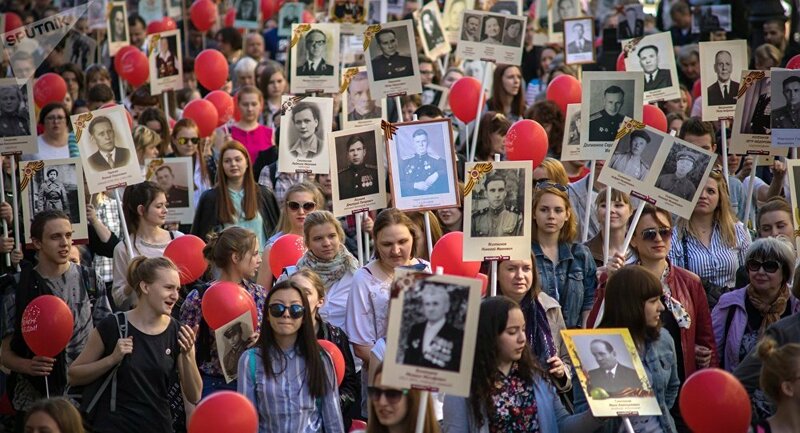 The Immortal Regiment initiative celebrating people behind the 1945 victory over Nazi Germany has taken place in dozens of cities across former Soviet republics and abroad. The first such event took place in 2012. 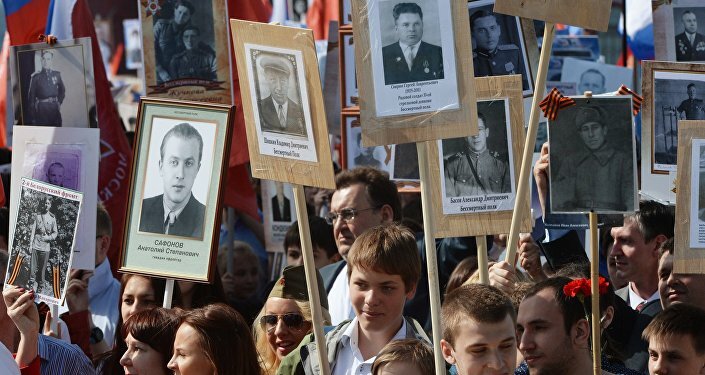 "We estimated that more than 30,000 people took part in the Immortal Regiment event," Igor Martynov, head of the Donetsk city administration, told reporters. In Luhansk, up to 20,000 took to the streets on Monday, carrying photos of their relatives who fought against Nazi Germany during WWII, as well as of those who fell in more recent armed conflicts, including in Afghanistan and most recently in the Kiev-led military operation in the country’s southeast.